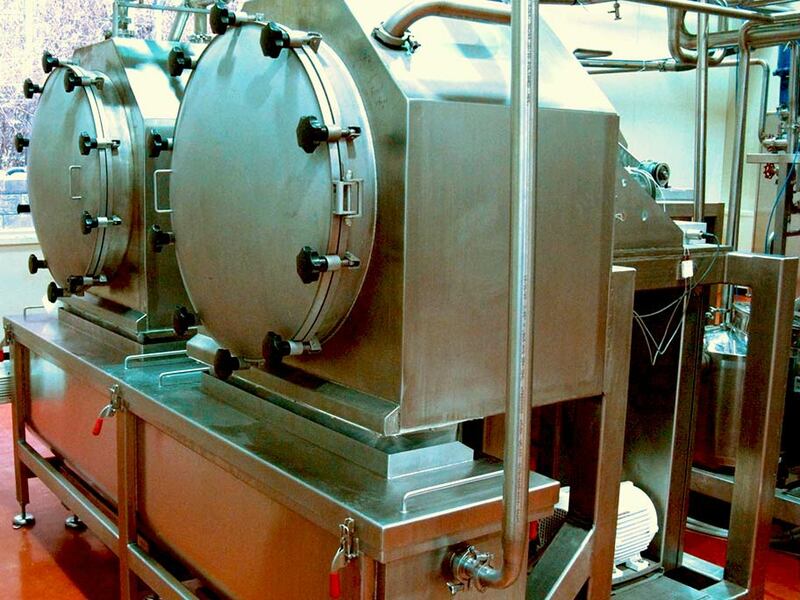 Prosoya is a manufacturer of almond milk making machines, equipment and processing plant. 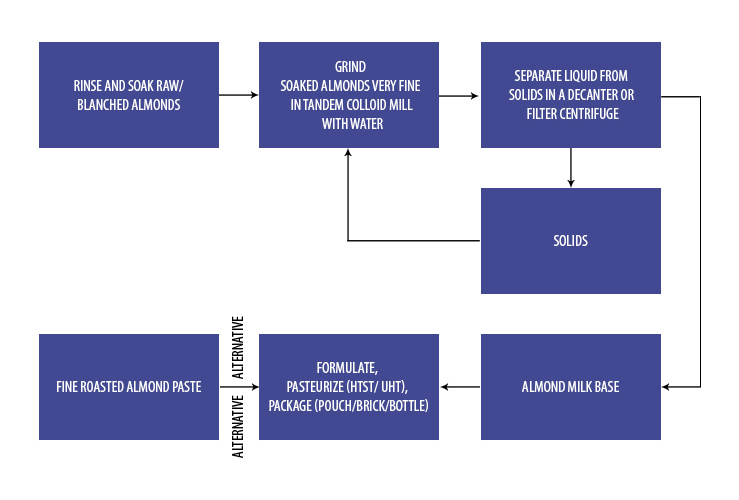 We provide turnkey solution for producing almond milk including the market proven formulations. ProSoya completed the development of almond milk for the consumer base that wants non-dairy, non-soy beverage with low calories. This product is superior to any commercially available products and has no calorie enhancing ingredients. The unsweetened vitamins and calcium fortified beverage, made from whole almonds, has unmistakably almond taste and flavour. Almond milk can be made using whole almonds, or blanched almonds, or almond paste, etc., depending on the customer preference. The challenge is to ensure that all the raw material is used in making almond milk with nothing left as waste of by-product. The machinery required depends on the input raw material that is to be used, and the type of packaging desired. Multiple packaging options are available: for chilled storage and distribution – bottle or carton or pouch; for ambient storage and distribution – aseptic pouch or carton or bottle, or retorted pouch or bottle or can. 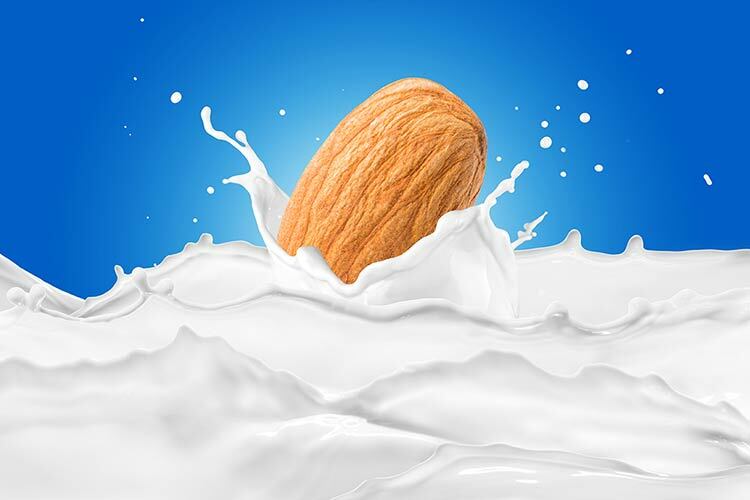 The formulations for almond milk are critical in achieving minimum cost per unit volume while giving good product body, mouthfeel, flavor and shelf stability. 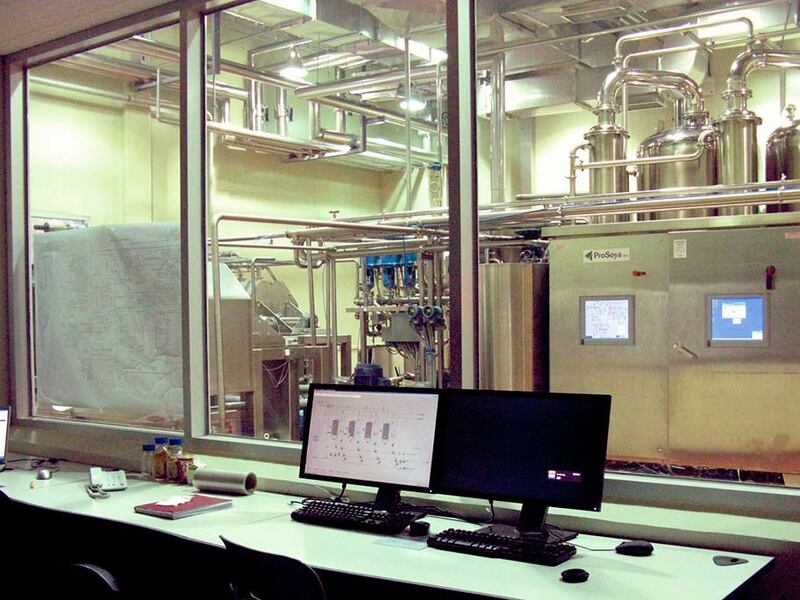 Similar technology and equipment can also be used for producing peanut milk, hazelnut milk, walnut milk, cashew nut milk, macadamia nut milk, sesame milk, flax seed milk and hemp milk.